Depictions of politically motivated violence and video games are nothing new. Wolfenstein: The New Order and The New Colossus literally ran an ad campaign featuring not-so-subtle allusions to a new wave of neo-nazis in America, but violence that references real world candidates is a giant can of worms for any company (or national government). Valve is about to find out just how giant, as the Brazilian government has launched an investigation into the video game seller, according to an original report by Eurogamer. 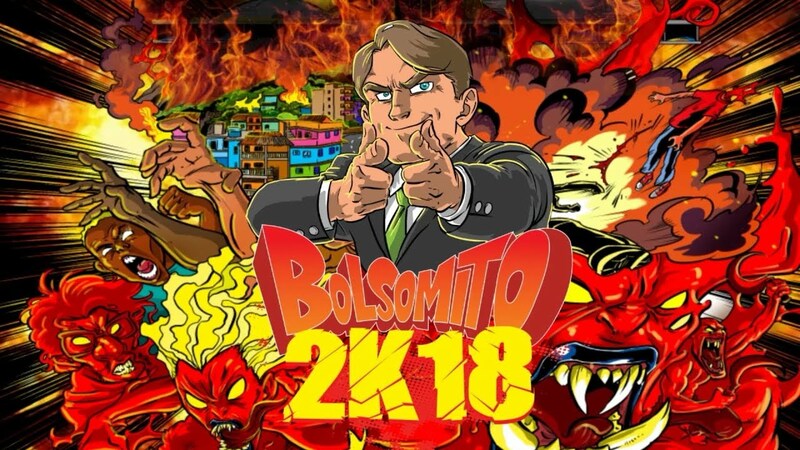 Bolsomito, the game character, is an obvious reference to Bolsonaro and his vocal disdain for minority and/or leftist communities. The trailer for Bolsomito, illustrated in an action comic book style, depicts Bolsomito’s enemies as red-tinged, demonic creatures, with one woman sporting what looks like the Communist flag star on her breasts. The developer, BS Studios, only has one other game called Platform Challenge available, and it’s currently not clear if it has any tangible political connections. The document goes on, saying: "On tense days with an election extremely polarised in progress, a game developer has created a game that promises controversy. In the animation, the player places himself in the skin of the PSL to the Presidency of the Republic, Jair Bolsonaro, and earn[s] points by killing militants, gays, feminists and members of landless movements." The MPDFT says it will instruct Valve to “cease the availability of the game Bolsomito 2K18 on their gaming platform," and "identify and qualify those responsible for BS Studios". GameDaily has reached out to Valve to see to what extent (if at all) they’ll be cooperating with Brazilian authorities, but the company did not immediately respond. It’s unclear if Valve has the legal right (or even just the capability) to give information on BS Studios. It’s also unclear why the game didn’t meet Valve’s criteria of “illegal” or “straight-up trolling” that Valve’s Erik Johnson set back in June.